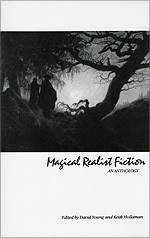 This capacious (520 pages) anthology has selections from the authors you would expect to find, from others you may be less familiar with, and from writers you might not expect to show up in this company. The result is a treasure trove of unusual fiction, one of the most exciting anthologies to appear in the last decade. This is a poet's companion, a student's delight, great bedside reading: the kind of book you'd take to a desert island!